You guys know I love food. So, when my friend Theresa Berens approached me to take a picture of a few dishes for the cover of MOVE Magazine, I was ecstatic. 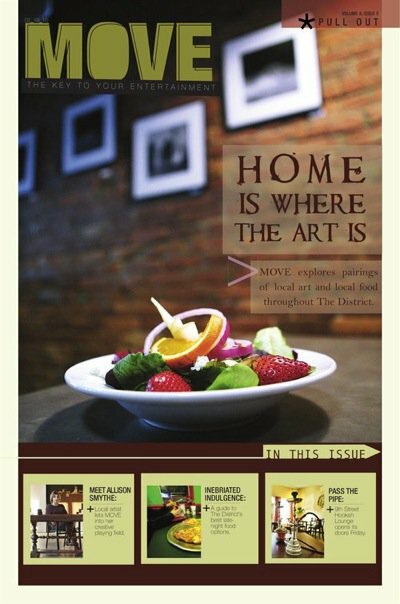 MOVE is The Maneater’s arts and entertainment guide to Columbia, which Theresa has recently revamped and given it a face-lift. So, I felt a lot of pressure to make this picture really awesome. The writer for the story, Emily Willroth, was looking at restaurants in Columbia that double as a galleries. 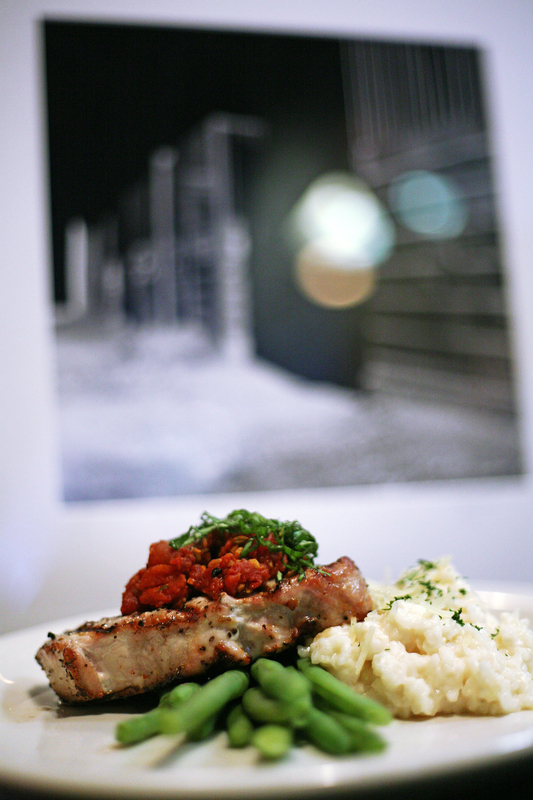 My vision to supplement the story was food as art. I wanted a beautiful dish, showcasing the art in the background. I found out the restaurants she planned to profile and called a few to see what they had in their galleries this week. Jackpot. I called Tellers, located on Broadway, and discovered an MU art student (whoo!) who had his photographs on display in the restaurant (yay!) and who also worked at Tellers as the kitchen manager (yes! ): The perfect recipe for a perfect story. I met up with the student, Frank Mendoza, and he prepared two dishes for me. One was a pork loin with a tomato fennel compote, parmesan risotto and green beans, and the other was Teller’s mixed green salad with oranges, apples and strawberries. Now, I have not yet taken a studio or lighting class and am not used to doing shots that I have to set up myself. Going into Tellers was a fresh experience for me, but I was up to the challenge. Because I met with them around 3 p.m., the restaurant was fairly empty and I was free to move things around and look odd while I was photographing the dishes. I had some troubles with glare from the lights up above, as well as the yellows in the restaurant and just the lack of lighting overall. 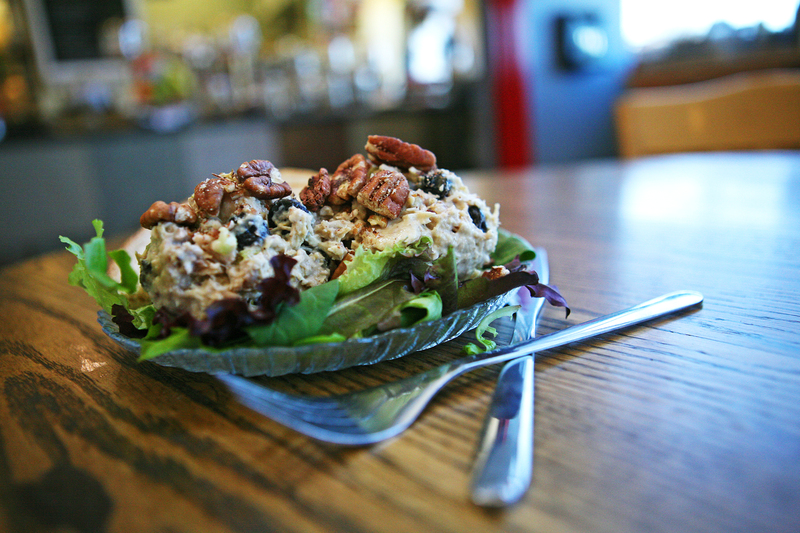 Also, I photographed for so long the salad began to wilt after awhile. I hope that's not apparent in the pictures! The cover came out beautifully. I’m eager to do more food photography.